A good drawing should say as much about the artist as it does about the subject. What would it be like if we moved beyond “I am drawing this object because I like this object”? What would it be like if we moved beyond, “I am drawing this object because it will sell”? There are objects which function like symbols for feelings. These function immediately, almost reflexively: a mother and child, a snarling wolf, a still lake at sunset, a soft cuddly kitten. What I am suggesting is that we avoid our favorite objects and those which encourage a predictable response. What I am also suggesting is that we begin to draw neutral objects for which we have no feeling of like or dislike and then impress our inner feelings upon the marks that we use to draw those neutral object. 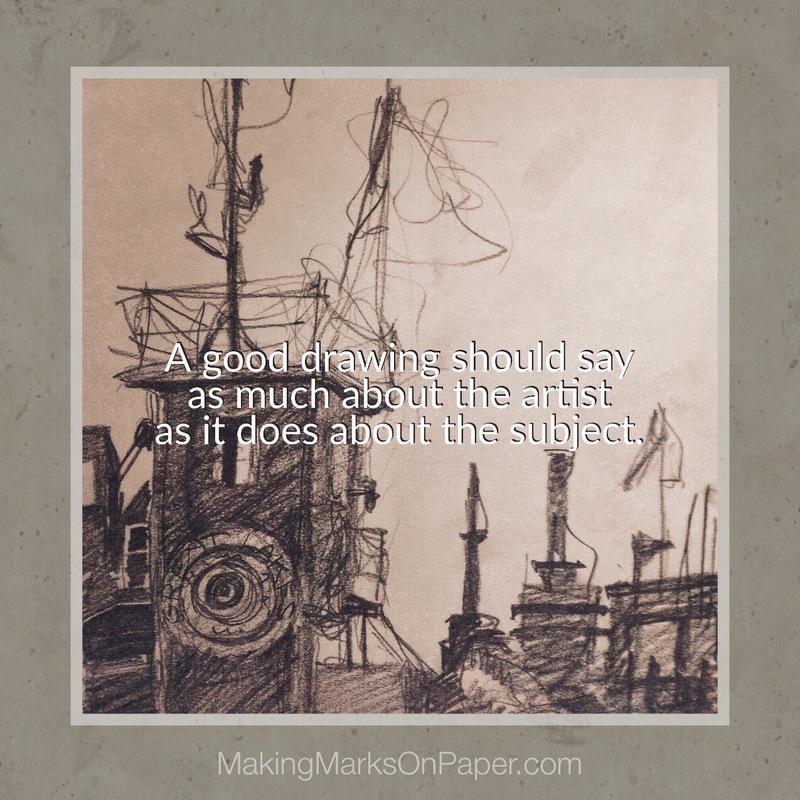 What if the marks made on paper carry the feelings and not the subject matter? Then perhaps a still life could become a drawing of my inner life. Then perhaps a landscape could become a drawing of my heart-and-mind-scape.